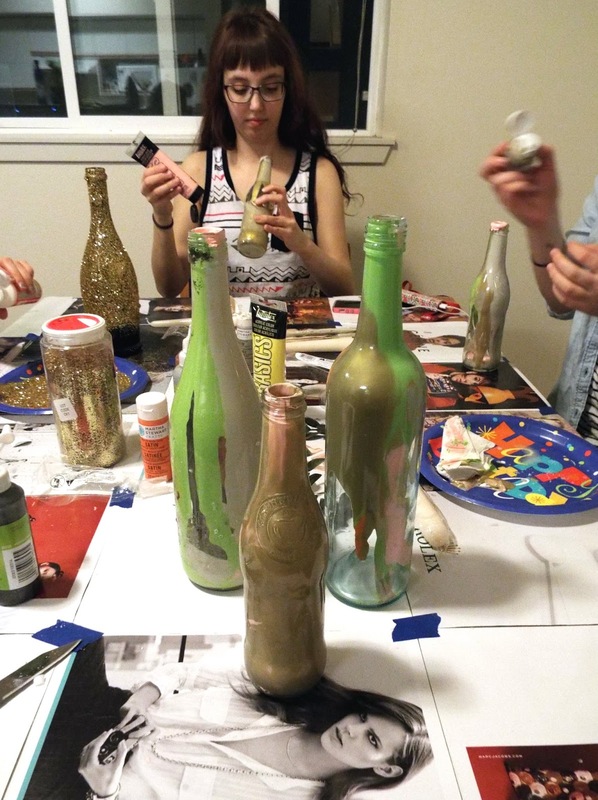 Last weekend, I hosted a craft night to turn a couple everyday recyclable items into treasured pieces of decor. 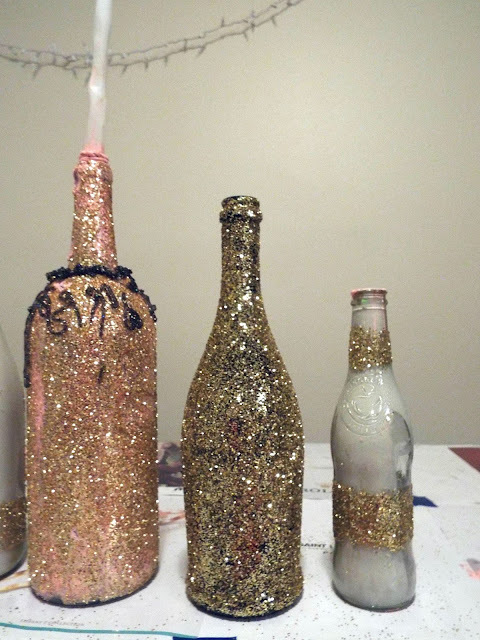 I invited some friends to come over with any glass bottles or jars they had to color and glitter them with a little Pin-spiration. 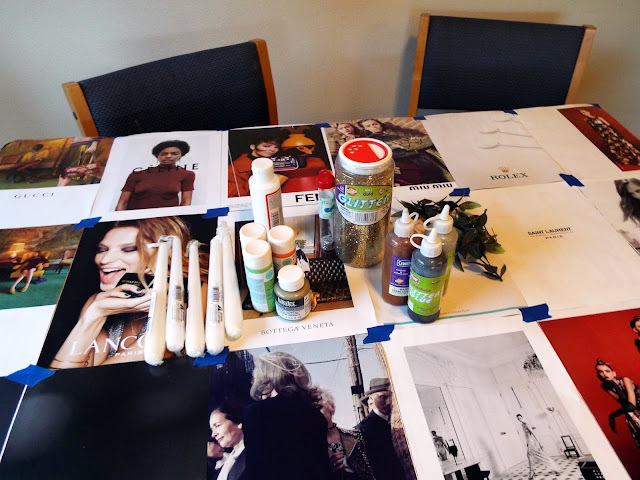 Martha Stewart Crafts® Multi-Surface Satin Acrylic Craft Paint– I got a couple of these in a Her Campus Survival Kit a couple months ago, and this was the perfect opportunity to use them. They were a little too thick for this project, so I'd recommend using a lighter body brand of paint or watering this paint down. 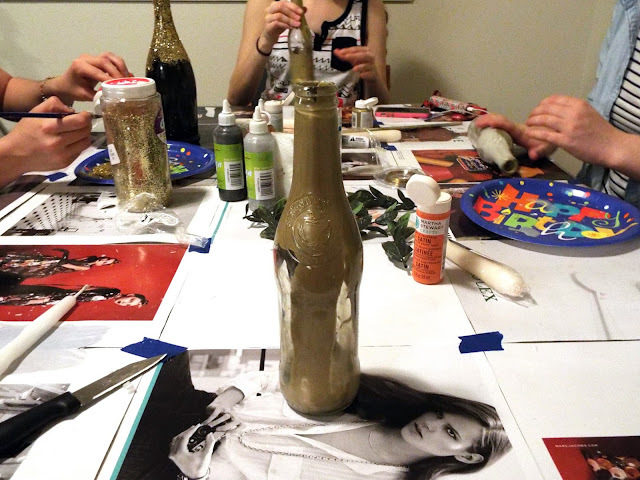 Liquitex Soft Body Acrylic Paint– I use this paint for everything from crafting to painting. Water it down just a little bit to create the ideal texture. Gloss-finish Modge Podge glue– This is some of the best crafting glue out there, and worked perfectly for applying the glitter. 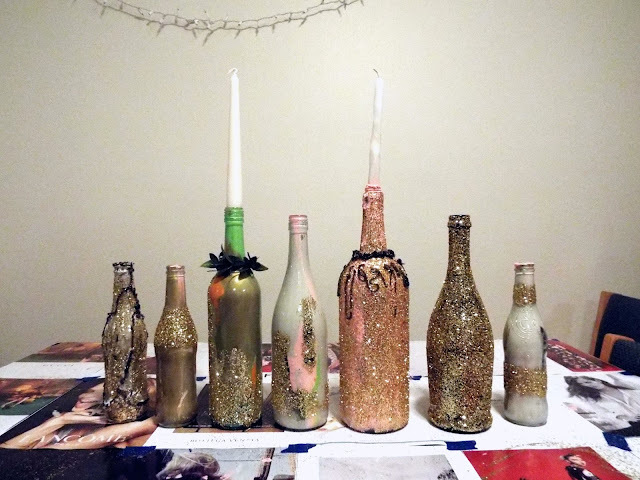 Like, way too much glitter– Pros: glitter is amazing. Cons: our apartment now has glitter everywhere. Even the dogs are still shaking glitter out of their fur. 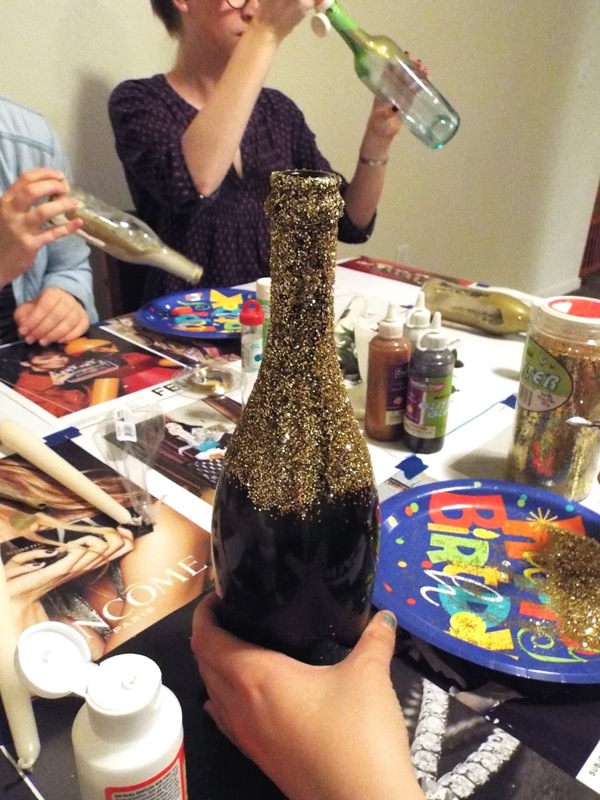 Glitter glue– We used this to glitter-ify the candles and as a 3D effect on the bottles. 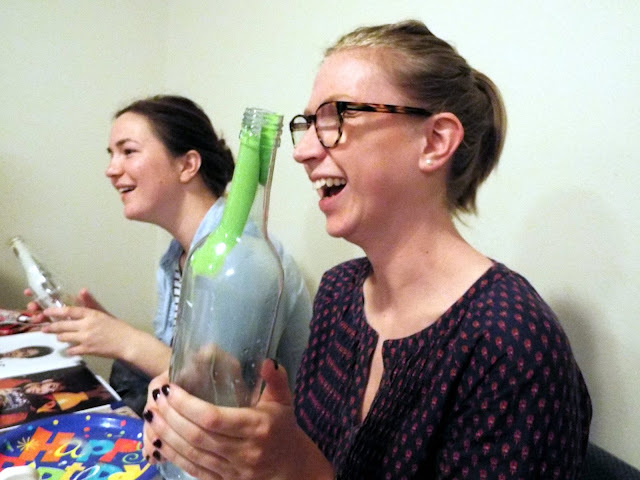 Tapered candles– Make sure you measure the width of the wine bottle opening to make sure the candle will fit! We had to whittle ours at the base because they were too big. 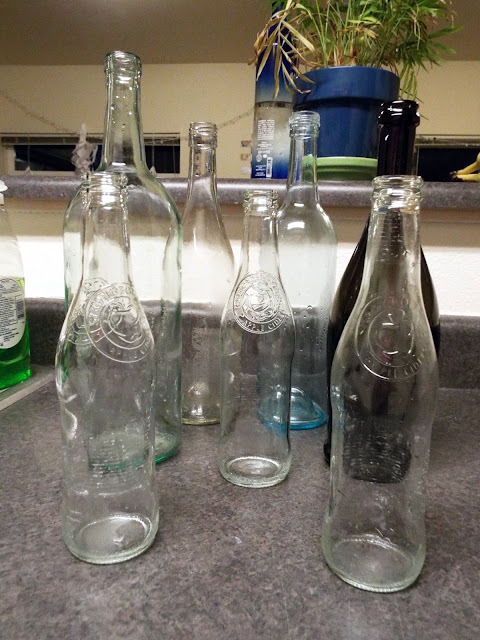 Step 1: Remove the stickers from the bottles. 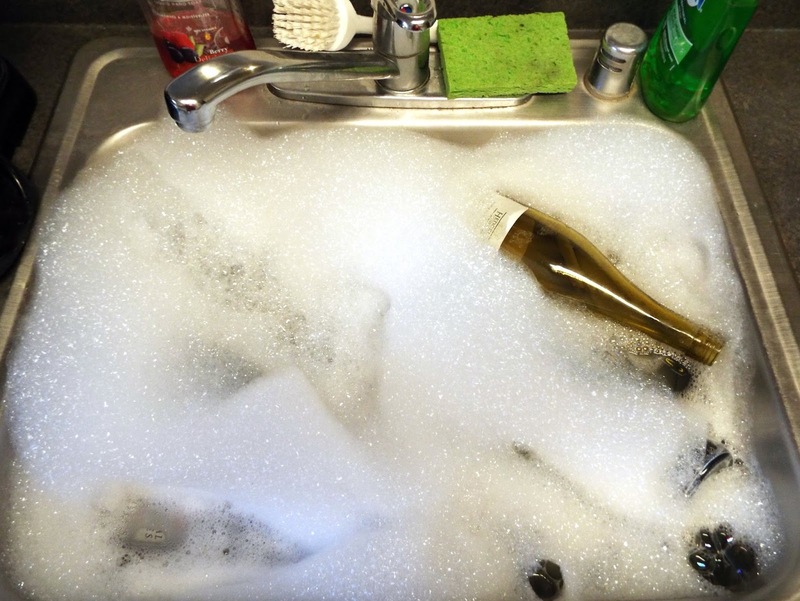 We did this by filling the sink with hot, bubbly water and leaving the bottles to soak for 10-20 minutes. It worked on all but two of the bottles. 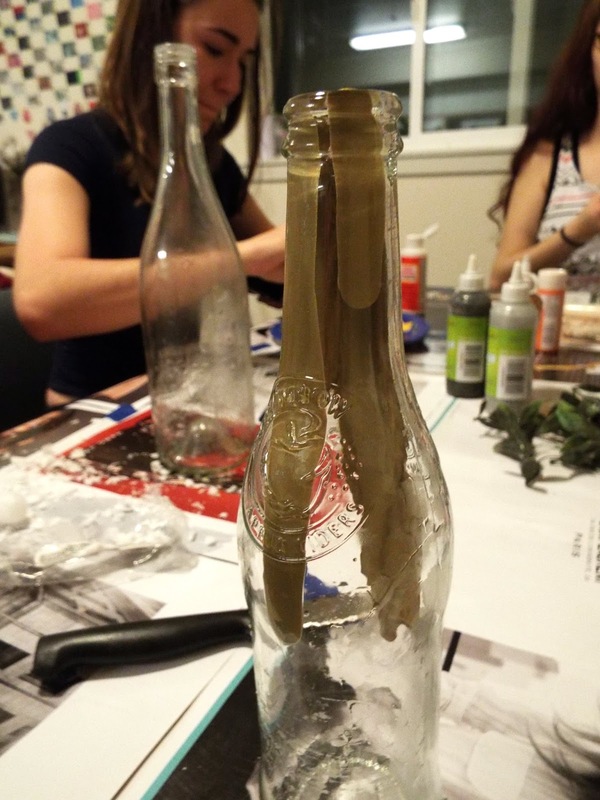 Step 2 (colored bottle): Following a tutorial from SITSgirls, we poured the paint into the bottle and swirled it around to spread it out equally. Pros: Picking up the bottle didn't smear the paint, and it made for a cleaner-looking finish. Cons: It took a lot more paint than we were expecting (don't listen when the tutorial says "a couple tablespoons"). Plus, it was hard to get it to spread evenly! 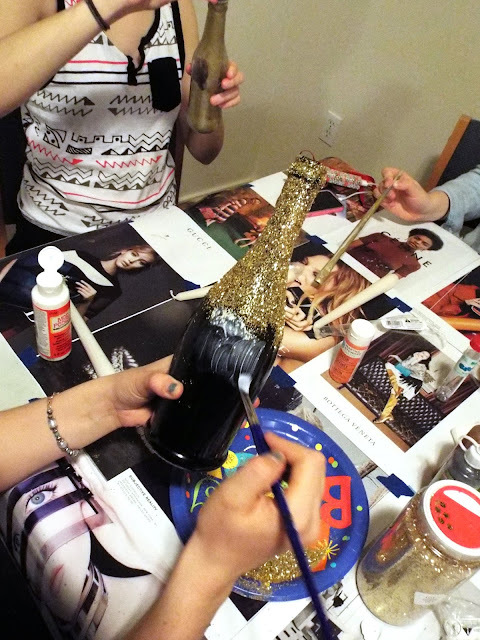 Step 2 (glittered bottle): Following a tutorial from Hustle + Halcyon, we coated bits of the bottle with Modge Podge, which we then covered with glitter. 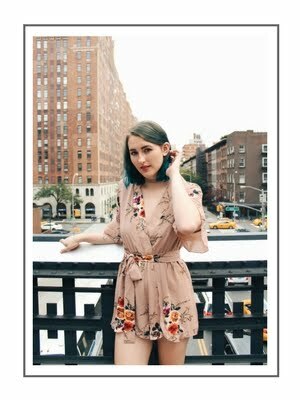 Pros: This was super easy and worked really well! Cons: There was glitter everywhere. 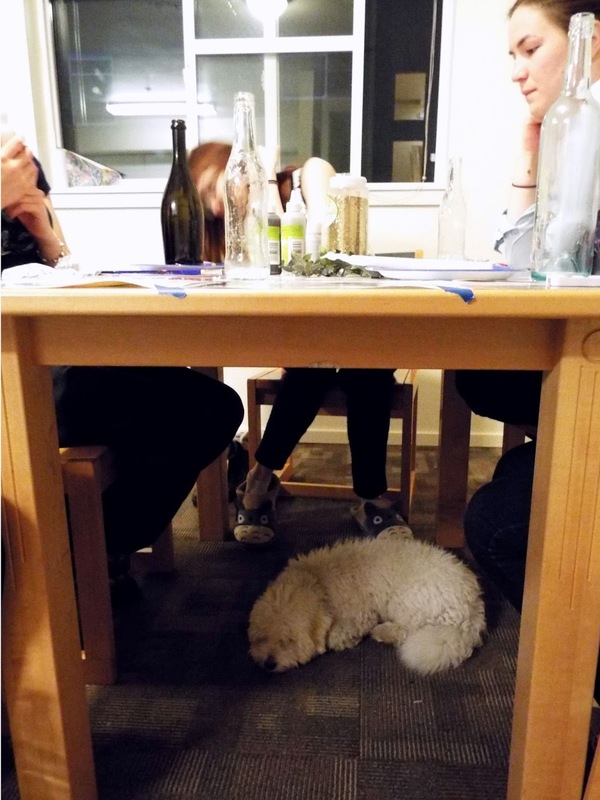 Even our dogs got in on the fun! The final products! We used a combination of both DIYs on all but one of the bottles. I love how unique each one ended up looking; especially with the mixture of colors. 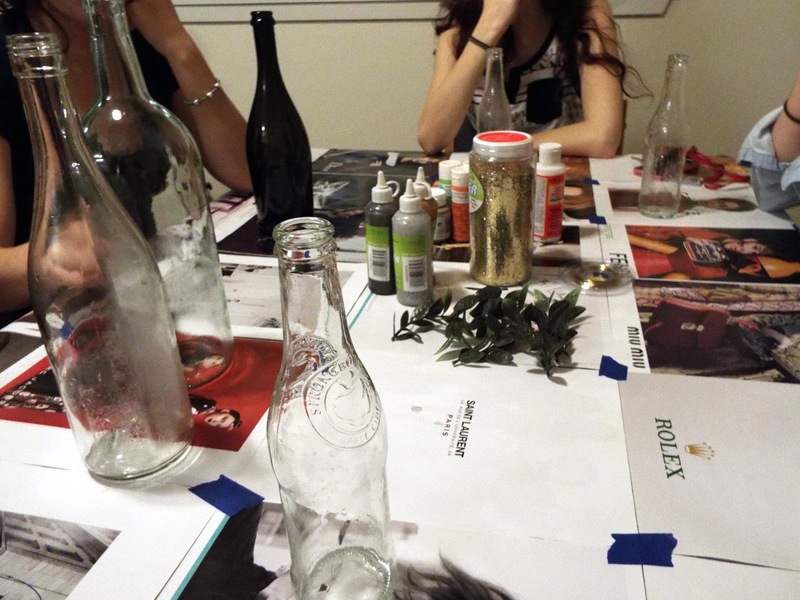 All-in-all, our first craft night was a huge success! It was so much fun and a great way to reuse something we all have lying around.